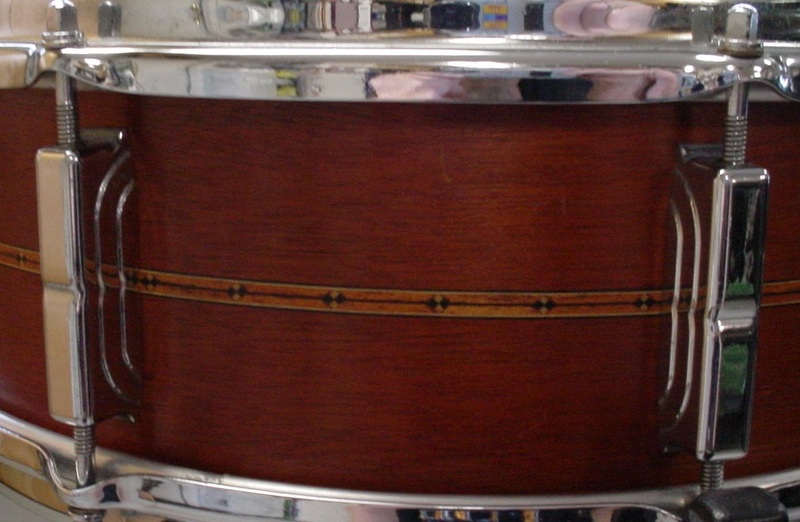 While I am in between purchases and restorations I thought I’d share this cool snare drum with you. I got this drum from my good friend and fellow collector Steve Maxwell of Steve Maxwell Vintage & Custom Drums. Steve was working on a special project involving Leedy USA Drums using Craviotto Drums USA solid shells. "Fred Gretsch still owns the Leedy name, and several years ago I asked Fred Gretsch if we could do some special Leedy USA drums using Craviotto solid shells. 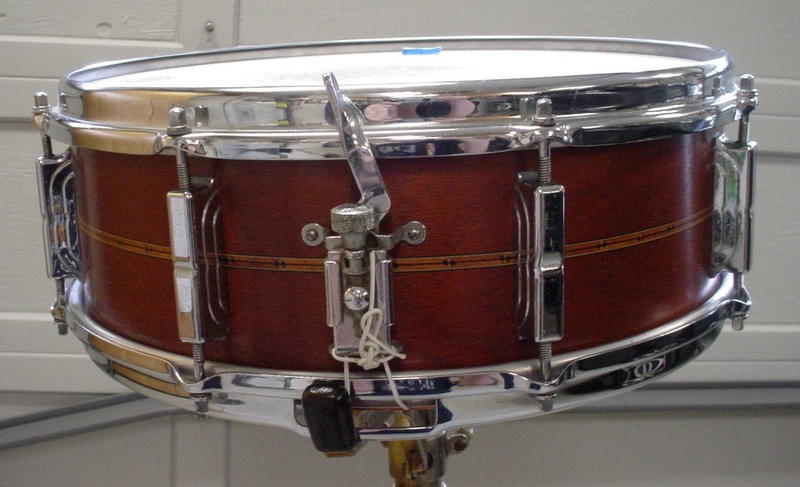 I liked the idea because Leedy was one of the companies that used solid shells for their snares at various times, and I thought it would be great to do some solid shell snares made in the USA with the Leedy name, but with Johnny Craviotto's incredible shells. Fred liked the idea, as did Johnny Craviotto, so I had some drums built. Johnny's team built the shells of course, and they also did all of the drilling, finish work and assembly. 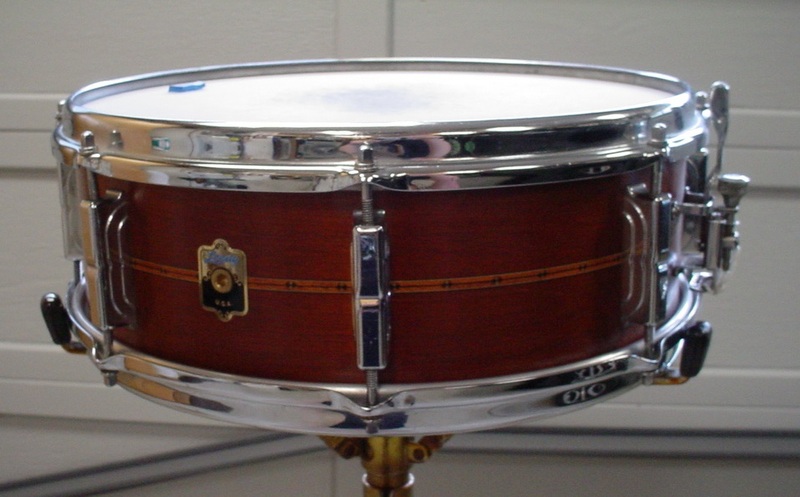 We did some of these as what I called a 'relic' series whereby we used the Craviotto shell but used vintage era Leedy hardware. Your drum is the first one that we built for this 'relic' idea. It was a fun project but we only built a handful of these drums because I got too busy with the demand of my shops. I can't remember exactly, but I think we may have made 4-5 drums with newer Leedy hardware and maybe 2-3 of these 'relic' style drums. Of course, they all sounded fabulous with those solid Craviotto shells, and they looked really great. It was nice to see the Leedy badge sitting there on such high quality drums. Leedy was a truly innovative brand that many people have forgotten. It was nice to bring it to the attention of current day players and collectors." I have gigged with this drum and I currently use this drum along with all of my other modern day snare drums in my drum studio. 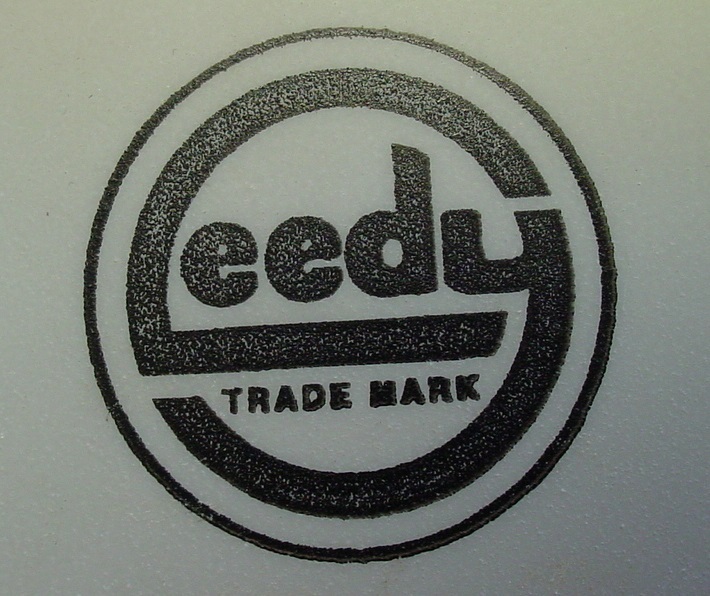 The drum came with Leedy USA logo Remo heads. I changed out the snares to Pure Sound 24 strand wires.